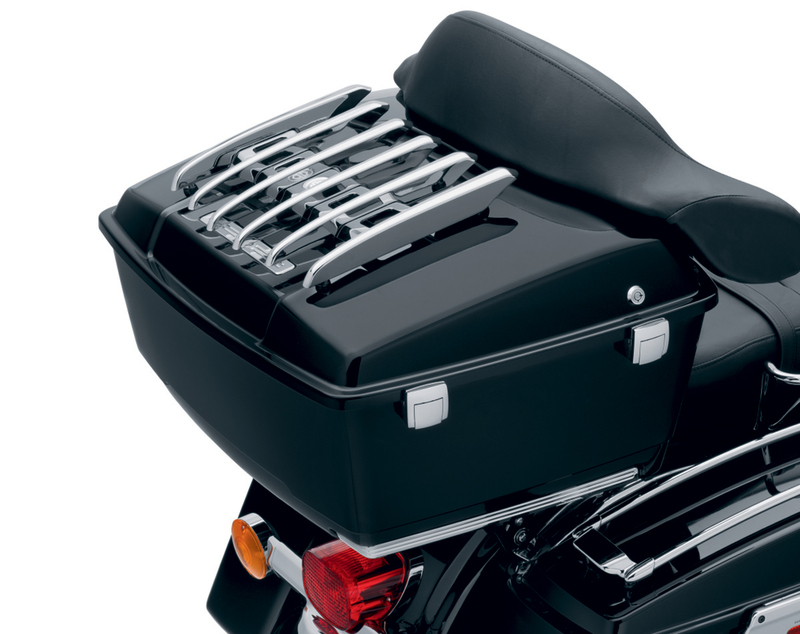 MILWAUKEE (November 26, 2012) The new Stealth Tour-Pak® Luggage Rack (P/N 53000242 Chrome, P/N 53000247 Gloss Black; $239.95) from Harley-Davidson® Genuine Motor Accessories® adds flowing style and protects the lid of Harley-Davidson Tour-Pak luggage. Its six cantilevered aerodynamic rails appear to float above the center spar, imparting a lighter-than-air profile. Hidden mounting hardware adds to the clean design. The Stealth Rack fits King, Chopped and Razor-Pak Tour-Pak® lids, and mounts in the same position as the Original Equipment rack on the Ultra Limited model and the accessory Premium and Air Wing Tour-Pak luggage racks, so no additional drilling is required to replace those racks. Bungee Cord Soft-Hook Extensions (P/N 52300140, $12.95) can be used to secure luggage on the rack. The kit includes all mounting hardware. This rack does not fit CVO models or those with the Color-Matched Tour-Pak® Spoiler kits.